!Feliz Cinco De Mayo! - Happy Fifth of May! 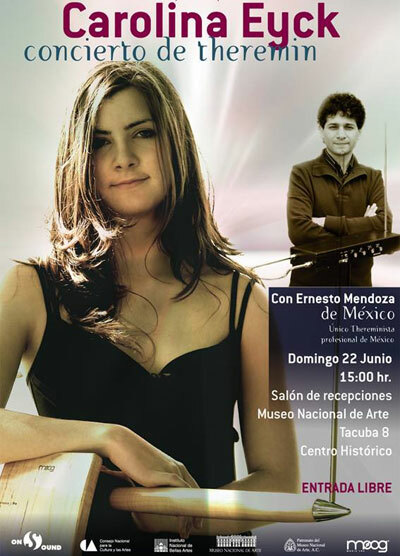 Though not as important in Mexico as Independence Day or others, it tends to be a big fiesta in the north of North America and seemed like a good day to recognize that Ernesto Mendoza has been doing amazing work to establish the Theremin in Mexico. To date he remains the only professional thereminist there, but he won't be alone on June 22! 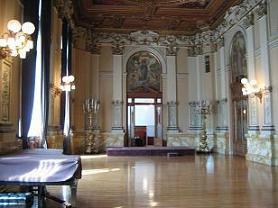 The closing event of the chamber music series at the beautiful National Institute of Fine Arts in Mexico D.F. will be a joint concert and featuring Carolina Eyck, visiting from Europe, and Ernesto. The concert will take place in the opulent reception hall of the Fine Arts Museum, located in the central historic district. The program will include classical compositions as well as some traditional Mexican favorites. This is a landmark event for the Theremin in the Americas. Congratulations to Ernesto in his success in making this dream event a reality, and best wishes to him and Carolina on the concert. Hope she will also have time to enjoy some of that enchanting city.